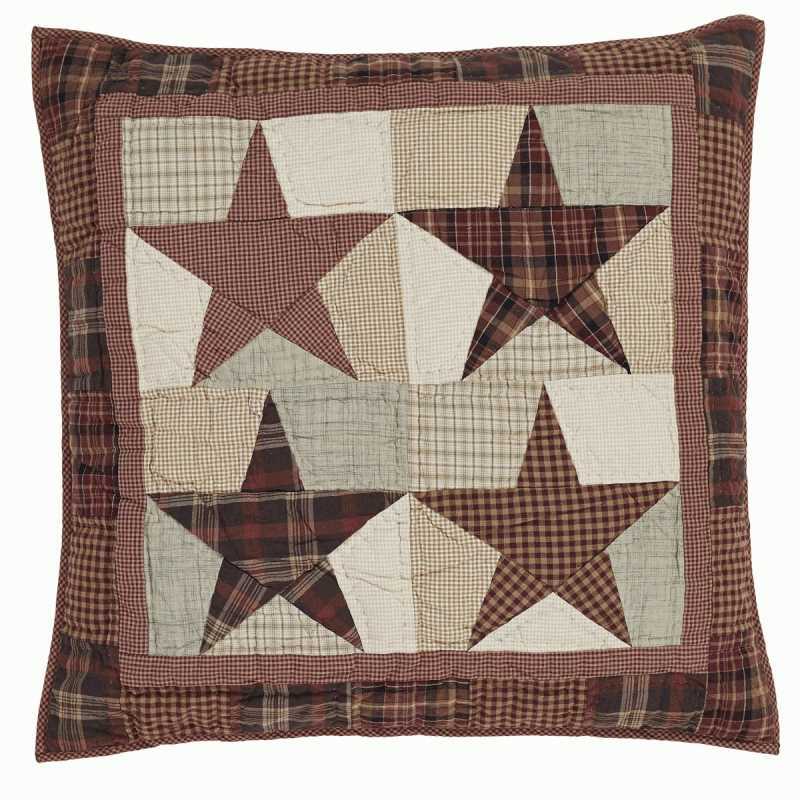 The Abilene Star Collection presented by Country Vintage Home features warm rustic colors with plaids and stars laid out in a five patch star pattern to create a down home country inspired look for your home. Country Vintage Home invites you to browse through the other selections in our Quilted Bedding Collection, as well as the many other items in our store. We are sure you are going to find just the right piece or pieces to make your home a Country Vintage Home! Please Contact Us for availability and possible special pricing on bulk orders. Tags: Abilene Star Quilted Patchwork Euro Sham 26" x 26"